The Retail industry is suffering. Most retailers are struggling to maintain any growth; profitability is compromised, and the future looks gloomy. As I travel across the many countries we work in, I hear the same story. And I also hear the same questions: Is this because of eCommerce? Is this because of the economy? Is this because of geo-political strife? So let’s break it down. In Asia Pacific, India and The Middle East (we call it the AIM market), eCommerce has between 2 % and 10 % market share. Is this enough to cause the stress in the retail industry? Maybe, and we can do something about it. Are the economies really doing so badly? Yes, some of the more developed ones like Japan, Singapore, HK, etc. are finding growth difficult. China is slowing down. But some economies like Thailand, Indonesia, India, Philippines, etc. are coming through. Is the geo-political tension between the powers that be, hurting customer sentiment? Maybe. But what can private enterprise do about it? The key question to ask is which brands are performing and which are not and why? We have many customers and friends in the retail industry who carry scores of brands. And they would do well to examine their brand portfolio. Customer tastes have shifted; all the above factors have driven a changed customer who is willing to spend a lot of money on holidays and mobile phones but will look for value while buying lifestyle items. Value being defined as a great price for a good quality product that is a trend setter. Gone are the days of such products demanding a premium, today that’s the baseline for the customer. The king is dead, long live the new king, the customer! Sounds obvious? It’s not, with the retailers’ primary focus being location and brand, there has not been much focus on the individual customer. The recognition and acceptance of this will be the change that will drive success and growth in retail and eCommerce. Though I must admit, eCommerce companies have done a better job at personalizing their relationship with customers in a short time. 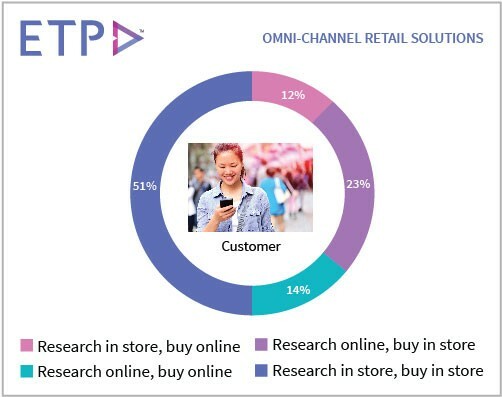 In the new omni-channel commerce paradigm, the customer is planted firmly in the center of the lens, serviced by any channel that she chooses to interact with, when she chooses, and where she chooses and at the best value. The customer wants hassle free experiences interacting with the brand, recognition, rewards, and superior post sales service. At ETP, as we work with retailers across 22 countries and over 25,000 stores and 500 brands, here’s what we’ve observed: a tremendous depth in their skills in Merchandising, Brand Management, Sales and Supply Chain Management, their understanding of diverse customers and employees, their ability to manage cycles and seasons and still produce a profit, their infrastructure management, their cash management, among other things. In the last one year, we are now seeing these giants waking up to the need to focus on the individual customer both in retail and in the eCommerce space. With all their powerful management and execution capability they could be the game changers of this new “Omni-channel” retail world. Like all large organisations with a legacy and systems & processes in place, they may not be as nimble as the pure play eCommerce players, however they seem to have got it now, and are ramping up their organization’s technology, culture and capability to play the eCommerce game. At the same time the eCommerce players have grown and are struggling with the lack of the same competencies that the larger retailers have. You will see many of them opening stores, to better service their customers. It’s a fascinating new battle front and the next couple of years will tell all. My guess is that the winners will be the ones who leverage the core competencies of retail and deploy the technology savviness of eCommerce companies. Somewhere in the middle, focused on customer service, the successful companies will emerge, after all, isn’t retail a service industry? 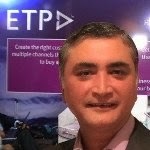 Naresh as the Founder, Chairman and CEO of the ETP Group leads the company with a clear focus on bringing enduring value to customers through best practices mirrored in software applications. Spanning 25 years of focus on retail domain expertise and IP development, ETP today, has a strong customer base of market leaders in more than 20 countries across Asia Pacific, India and the Middle East, and is on its way to becoming a global leader in Retail Software Solutions.